A baby stroller is one of the first things you’ll probably buy (or have bought for you) as a parent. It’s also probably one of the most expensive things you will buy for your little one, and by taking a quick look on Amazon you will notice that the prices of standard strollers could easily be even thousands, especially if you start looking at limited editions or bundles. This is why it’s important to make the right decision when it comes to which stroller to buy – get it wrong and you could be making a very expensive mistake. To help you make that decision, we’re taking a look at two of the most popular strollers on the market at the moment, the Britax B Ready and the UPPABaby Vista. Both receive positive reviews, have high star ratings on multiple sites, and seem to be loved by moms and mommy bloggers alike. We’re going to look at why people like them (the pros) and why they don’t (the cons), along with the features that could mean they’re the perfect fit for your lifestyle and your baby. First, though, we’ll take a look at the different type of strollers available because, as anyone who’s started stroller shopping will know, one size stroller definitely does not fit all. 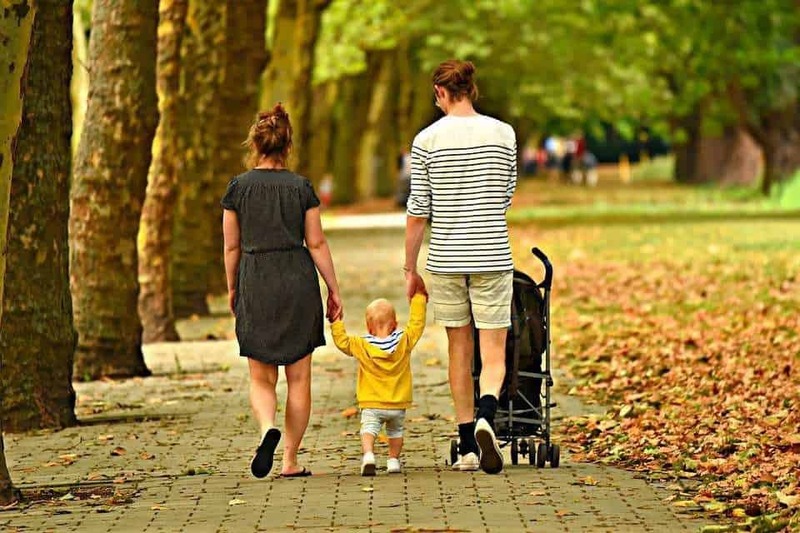 Which one works best does depend on factors including whether you live in a city or suburb, travel frequently by car, have an active lifestyle, and whether you are looking for a stroller that works best for a baby or a toddler. 1 What types of strollers are available? 2 Britax B Ready vs. UPPABaby Vista – Which is better for your baby? 7.1 What does the Vista come with as standard? 7.2 How do I tell if the model of the Vista is the 2017 or 2018 (redesigned) version? 7.3 Can the Vista be used with other brands of car seats? 7.4 Previous models (2016) of the Britax B Ready are available for approximately $300 – what is the difference? 7.5 Can you go jogging with the Britax B Ready model? Car seat strollers – which are designed to be used not just like a stroller but – as the name suggests – a car seat. You can detach the seat from the stroller’s frame and place it easily in the back of your car, perfect for when your baby’s sleeping. Car seat strollers tend to be built with light metal frames that are quick and easy to fold. Lightweight strollers – which are usually less than 24kgs. These strollers are designed to be compact and easy to handle. They don’t, however, come with many bells and whistles; more than a few come without padded seats, for example, which might make them more suitable for toddlers and older children. Jogging strollers – are designed for those who have an active lifestyle with three wheels for stability when you’re out running. They are incredibly light and easy to maneuver with light frames. All three styles offer double and triple models, which allow parents to push up to three children at a time, though you are less likely to find this option with lightweight strollers. They may also come in bundles or travel systems, which includes a stroller and separate (but matching) car seat. Britax B Ready vs. UPPABaby Vista – Which is better for your baby? Both Britax B Ready and UPPABaby Vista are technically lightweight strollers because they come in under 45kg. However, probably due to the price, both offer a range of options that you might not expect to see including the ability to add a second seat if you have a second child. We’ve looked at both of these models in detail below so we can help you make the right choice for your baby. This has included looking at safety, restraints, adjustability, mobility, height and weight, storage, as well as additional features, reviews, and ratings. The Britax B Ready stroller is designed to grow with your family, changing from single to double seats if you have more than one child and allowing you to use the frame with both bassinet and infant car seats if you want (though these need to be bought separately). It’s ideal for children aged 6 months to 3 years out of the box. However, parents who want to use it for newborns can by adding click and go receivers to their Britax Baby Safe Car Seat or removing the Britax Hard Carrycot adaptors. The seat is padded and has twelve positioning options, which means your child will be comfortable, even on longer trips, and the handles are adjustable, allowing both parents to take turns pushing even if one is taller than the other. And, while many online reviewers praise the Britax B Ready as a city stroller because its rubber front wheels swivel, the fact that these wheels can be locked in place means that it works well in parks, gardens or even out on a hike too. While you’re out, you can protect your child with the canopy and UV 50+ visor and keep any nappies, snacks, and bottle safe and secure in the extra-large storage basket. When it’s not needed, the stroller can be quickly and easily broken down whether you’re using a single or double seat and put in the trunk or stored out of the way at home thanks to its compact design. Available in multiple colors including Cosmos Black, Flame Red, Steel Grey, and Mineral Purple. Foam-filled rubber tires that won’t go flat. Different seating positions can be confusing at first. Easy to transfer your baby to the car and back again. Easy to navigate in the city but works just as well on bumpy terrain. Easy to store everything a parent takes with them including large diaper bags. Feels solid and safe, with little chance of tipping over or your child falling out. UPPAbaby strollers are a hugely popular with parents looking for a lightweight model with plenty of features that meet the needs of their growing family. To keep these parents, and newer customers happy, UPPAbaby updated its Vista stroller design in 2017, leading to a lighter, more streamlined version, which we reviewed in 2018. The UPPAbaby Vista stroller is designed for babies aged around six months through to children aged 3 (or up to 50 pounds – slightly less than the Britax B Ready stroller which has a maximum weight limit of 55 pounds). However, like the Britax B Ready model, it can be used with newborns by using a bassinet and Rumbleseat attachment. The bassinet has been included, which means you don’t have to buy anything else in order to start using it. However, the price of the bassinet is built into the price (currently $929 on Amazon). You will have to buy an extra seat if you want to change this from a single to double stroller, which many parents do and is one of the main selling points of this model. You can also use it with two bassinets or add a ride along attachment to the back to make it suitable for three children (with an older child standing on the back). Whether using it for one or two children, they should be comfortable thanks to the padded seats, adjustable seating/reclining positions, and sun shade, protecting them on hot days. For the parents doing the pushing, the handle height can be adjusted, and they can store plenty of the things you need for baby, including a large diaper bag, in the under-seat storage basket. Plus, pushing should be easy thanks to the pivoting front wheels. Multiple colors including Henry Blue Marl, Loic White, Jake Black and Taylor Indigo. Saves you money in the long-run because it grows with your family. Easy to fold and unfold, including with one hand (while you have a baby in the other). The bassinet helps keep babies warm and cozy with its detachable fleece lining. Offers a smooth ride in the city or on rougher ground. Feels safe, especially the brake which has a red/green indicator to show if it’s engaged. Really well made, strong and sturdy. Both strollers have a lot going for them and, in many ways, there isn’t much separating them. There are also pros and cons to each that you need to consider before making a purchase. The first, and most obvious one for us, is the price. There’s a $400 difference between the two, a quite substantial figure and one that could mean the Vista is out of your price range. Remember, however, that get the bassinet with the Vista, meaning you can use it with newborns without having to buy anything extra. Size-wise, there isn’t anything between the two strollers, though the Vista is slightly heavier and might be a little more difficult to maneuver. This, however, didn’t seem an issue in the reviews we read; both included comments about how they could be awkward to get into cars (something that could be said of most strollers). There also isn’t much difference in features. Both offer multiple seating positions, including front and parent-facing, and have canopies that offer UV protection. Each are safe and secure, with good harnesses and stable wheels, meaning parents feel confident using them for their babies. All of this makes it difficult to come up with a winner. If we had to choose, however, we would go with the UPPAVbaby Vista. In part, our decision is based on the slightly higher star rating. But it also comes down to the added bassinet. With a new baby on the way, the last thing you want to worry about is buying additional accessories. It’s much easier and less stressful to get what you need in one place, which is what the Vista offers, and why it would be our pick. What does the Vista come with as standard? The Vista comes with 1 bassinet, 1 toddler seat rain cover, 1 toddler seat bug shield, and 1 bassinet bug shield. It does not include a cup holder, which has to be purchased separately. How do I tell if the model of the Vista is the 2017 or 2018 (redesigned) version? You can tell by the serial number. The 2017 model started with VIS0317; a 2018 model would start with VIS0318. Can the Vista be used with other brands of car seats? Yes, as long as you use the correct attachments. Previous models (2016) of the Britax B Ready are available for approximately $300 – what is the difference? The main differences are color and the wheels. Can you go jogging with the Britax B Ready model? No, it’s not designed for jogging. As we mentioned before, there really is very little to separate the Britax B Ready and the UPPAbaby Vista. They both look good and come with a range of features that will keep your baby comfortable and protected from the elements. The main difference between the two is price, though when you factor in the additional options you’ll need to use the Britax B Ready for newborns, there probably isn’t much to separate the two when it comes to cost. Both get great reviews and have loyal fan-bases. The UPPAbaby Vista just to say wins out in the ratings game (though only just), meaning it is probably the best option if you can afford it. If you can’t, going with the Britax B Ready isn’t a bad second choice; in fact, it would be many people’s first.